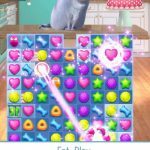 GameLoft’s Puzzle Pets is another one of those fun and addictive Match 3 games, and regardless if you’re an iOS or Android device user, you can download this free title for hours of enjoyment. 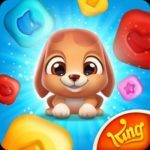 According to the game developer, each of the animals, or Puzzle Pets, is loaded with personality and special abilities, and you can also match a maximum of six pet friends to create more than ten different combos. 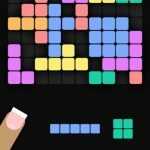 That pretty much tells you that this Match 3 game has its own twists and quirks, but for you to better understand these, we’ve come up with a few Puzzle Pets cheats, tips and strategies to help you in your game. Creating a Super Egg happens when you’ve matched four of the same pets in one move. The striped egg is the easiest of these Super Eggs to create, as you can get one by matching four identical pets. Striped eggs eliminate an entire row or column, depending on whether you create the match horizontally or vertically, respectively. If you create a match of five identical pets in a T-shape, you’ll create X-striped eggs, which, instead of shooting rays horizontally or vertically, eliminate pieces by shooting rays diagonally. As diagonal eliminations tend to take out more hard-to-reach pets than standard horizontal or vertical ones, X-striped eggs can be especially useful Super Eggs in Puzzle Pets. Now if you match five pets in an L-shaped arrangement, you’ll create bomb eggs, which explode upon matching. That takes out any surrounding pets in the area of the bomb, making them even more effective than standard striped or X-striped eggs. Lastly, rainbow eggs are created with a match of five eggs that aren’t in a T- or L-shape. If you match rainbow eggs with any pet, regardless of type, that gives you an automatic match for all other pets of the same type. You don’t have to use all your Super Eggs just because you have them at your disposal. In fact, we’d suggest that you keep them if you don’t really need them. If you keep Super Eggs and combine them with each other, you can wreak even more havoc on the board, taking out more pets and helping you complete levels much faster. 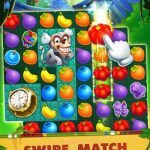 This is one of the twists on Puzzle Pets that make it different from other Match 3 titles – the presence of helper pets. You’ll want to bring one of these helpers in any level of your choice, but before that, you’ll have to make sure that they have been charged properly, either by matching pets or by feeding the helpers straight. You can also acquire materials by earning more stars, which is another way to feed your helpers. Doing so allows you to tap into their special skills, while completing as many three-star levels as possible unlocks more helpers. For example, the first helper, Harold the Dog, creates T-shaped matches.